Withstanding the test of time, Pooh remains a favorite for a first birthday party. He is cute and cozy, warm and loveable…just like your baby is, so why shouldn’t Pooh be the theme of the first mile marker? 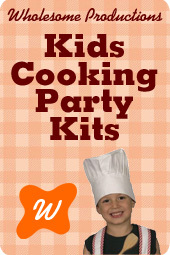 We have tons of fun for your little “one” and tried and true ideas. After all, Kim’s son, Jacks first birthday party was done in the Pooh theme. From the invitations, to the cake, to the favors you send home with the guests, we have all the suggestions and instructions you need for a hunny of a first birthday party so you can relax and enjoy the once in a lifetime moments of your babies first birthday. If you want to start shopping now check out these stores. First you will want to decide who you are inviting. Chances are that for the first birthday at least, you will include family members as well as playmates. Jot down a list so you don’t leave anyone out. Now it is time to come up with a date and the time. Be very clear on the invitation to put the date as well as the day. A family member recently got the dates mixed up and showed up at a first birthday party a day early. If you don’t want party guests a day early, best to put both the day and date! Where will the first birthday party be held? Your home is always a good option with an unpredictable one year old. Naptime can come at an unplanned time. Also, your baby is familiar with his or her own home. But it also involves cleaning and accommodating the guests and entertaining the kids. The park is great, as long as the weather is nice. Make sure and have a back-up plan and include “plan B” on the invitation. Amusement facilities are nice as well and often offer a cake and some party decorations as well as entertainment. Call to reserve a few weeks in advance and always confirm the plans as the first birthday party gets closer. Including a map inside the invitation is a wonderful assurance that your guests won’t end up at a neighbor’s house or at the wrong Chuck E. Cheese on the other end of town. RSVP is smart. You will get a good idea of how many guests will be attending and can plan accordingly. Now for the fun part, picking an invitation. We have made that a breeze for you. Just click on one of the great invitations below if you are looking for a simple style fill-in-the-blank Pooh First Birthday theme invitation. You can also order personalized invitations. Photo invitations are another option. You might even consider a picture of the birthday boy or girl in a Pooh costume. After you have completed and addressed the invitations, slip in some confetti and place Pooh First Birthday stickers on the envelope. Add a Pooh postage stamp and you are ready for the mailbox and for the next step in our step-by-step Pooh First Birthday. Fill your home with Pooh and all his friends in the 100 acres woods. Your first birthday party will come to life with all the Pooh First Birthday party decorating ideas we have for you to choose from. Place a Pooh yard sign in your front yard so the guests know where the first birthday party is happening. You can also mark a spot at the park or whatever location you have chosen. Imagine the faces of the little ones when greeted by Pooh and Tigger too. Stand ups are available in both Pooh and Tigger and are 3’4”. They make great photo props as well. Though you can have Pooh throughout the entire house (or wherever you are having your first birthday party), it is usually best to pick a room to be the main attraction. Start with a Pooh First Birthday banner. There are lots to choose from. You can even have them personalized. Fill the room with Pooh! Pooh crate paper, Pooh posters and Pooh and friends ceiling danglers. Pooh's Balloon are a must and come in all shapes and sizes. The little guests will have big fun when baby turns one when you include them with Pooh hats, balloon blowouts and even their own Pooh bibs and tumblers. Pooh party ears and sun visors are great too. Set Pooh toys around for baby and playmate guests to love on like this stuffed Pooh bear. Winnie the Pooh books are also decorative and entertaining to place about the room. Another great idea is to visit our Bee Movie section to get ideas because where there is Pooh there is hunny and where there is hunny…you guessed it, there are bees. Pooh's First Birthday High Chair Set can add to the Pooh theme. Display pictures of your birthday boy or girl in Pooh photo frames. Sit them on coffee tables, on shelves and even on your decorated table arrangements. Purchase extra frames and take pictures of the guests for a great “thank-you for coming to my first birthday party” take home gift. A Pooh First Birthday piñata not only is an adorable decoration, it is lots of fun as well. There are so many cute ones to choose from, you may want more than one. Your birthday “one” and playmates will love the excitement. Some piñatas have pull strings which are a sure hit for little ones. Have fun creating the backdrop for once in a lifetime memories of your child’s “one”derful Pooh First Birthday party. Below are a few extra fun decorations that can be added. Pooh and his friends are always hungry. Chances are your one year-old and his or her guests are hungry too. What can you feed them? If your first birthday party falls at lunch or dinner time, you will want to serve something a bit more filling like plenty of Pooh sandwiches such as Pooh-nut butter and honey (or berry jam for the “ones and under group”). Cut them in cute cuddly bear shapes with Pooh cookie cutters. For all our Pooh snacks go here. Make a hearty dish of Oodles of Pooh Bear Noodles with Cheese which is Pooh’s version of maccoroni and cheese. Pigletts in a Blanket is another favorite. For lighter snacking, fruit and veggie trays are healthy choices and are enjoyed by young and old alike. Arrange on color coordinating plates or platters and serve with our Pooh dips. Jell-O Jigglers are fun for the little ones to wiggle and eat. Use Pooh shaped cookie cutters for beary cute shapes. Pooh gummy bears are yummy and Disney marshmallows are a great sweet treat too. Pooh favor boxes make awesome serving containers so order a few extra for the table. Toddlers will especially enjoy junior foods like: berry puffs, yogurt bites, honey bear graham crackers and graduate fruit and cereal bars. Goldfish crackers are one of Pooh’s favorite. Bake Pooh cookies using our basic cookie dough and Pooh shaped cookie cutters. They are so yummy for the tummy you had better make several batches. We have cookies on a stick recipes too. There is a pre-made color-a-cookie set available if you prefer the easier route. for even more ideas cuz where there is hunny, there is sure to be bees. Check out our all-around food and snack section as well and if you still want more awesome ideas, Cooking With Pooh has dozens of great recipes. Now that you don’t have to swarm about since we have done the homework for you, you can relax and have a hunny of a time creatively filling tummies. Play “Winnie the Pooh” music while the toddlers get aquainted. The music will put the children more at ease for new surroundings. Sit the children around in a circle and read a short Pooh story book while showing them the pictures. Set Pooh toys around for the youngsters to play with. See our Pooh First Birthday gift section for great toy ideas. Costumes make every first birthday party more fun so why not go all out for your little “one”? After all, first birthdays happen once in a lifetime. Snuggly, cute and huggable. This toddler Pooh outfit is absolutely adorable. You will want to take plenty of pictures. Consider taking some before the first birthday party to put on a photo invitation and later on personalized thank- you cards. You can even purchase photo postage stamps. No doubt you will get the goody out of this costume. Eeyore and Piglet toddler costumes are available as well if baby prefers. Or, make it a costume party play day. The little tots will have big fun laughing at themselves and each other. Larger Pooh costumes are available so big brother or sister can join the festivities too. The family dog will be pawsitivly the cat’s meow when you put him in this Eeyore pet outfit. Imagine the children’s faces! Don’t be a party pooh-per. You can dress up too. With a set of Pooh ears and a Pooh Tshirt, you’ll be good to go. Your Pooh First Birthday party is sure to be a blockbuster with everyone in full costume. When Halloween rolls around or the kids get bored on a rainey day, just pull out the outfits and enjoy them all over again. Pooh First Birthday party favors are a great way to send fond memories home with the guests of your little “one”. First, it is a good idea to choose a container to put them in so you will have an idea of how many treats you want to include and what size. Pooh treat bags and boxes are available in all shapes and sizes like the ones seen here. You can create your own by using a colored sack (gold is great) and decorate with Pooh's Happy Day Sticker Sheets. You can paint clouds on them with paint pens and even paint names on too. Or, make honey pot treat containers using our easy instructions. Fill them full of goodies. Since it is likely that, especially at a first birthday get together, that guest vary in age, choose age appropriate treats. Bouncing Pooh balls, Pooh Party Bubbles and Pooh pin wheels are among the great gifts available. There are Pooh finger puppets, Pooh spinning tops, whistles, play dough and Pooh coloring books as well. Winnie the pooh story books are always a favorite. There are so many Pooh favor items we have made it easy for you to see them all right here. Don’t forget snacks in their sacks. Toddler treats like berry yogurt bites and fruit puffs can be placed in small zip lock baggies and other snack items come in cute Pooh packages like Pooh gummies and Disney Pooh Marshmallow treats. A convenient and economical option is to purchase pre-filled treat boxes like these. Remember, we have done the work for you so you can have fun preparing the favors. The real treat is seeing the smiles when the children see their treasures. Thank your little “one’s” guests for coming to the first birthday party with Pooh First Birthday cards. Most Pooh First birthday invitations have matching thank-you cards to go with them. You can also order personalized thank-you cards, make your own custom card, or better yet, let your budding artist create his or her own masterpiece. Party photos make great personal thank-you notes. A picture of your birthday boy or girl is a Pooh costume is an awesome original idea. You can do them yourself using your computer or special order them. When you have completed the cards, place them in an envelope and sprinkle Pooh confetti inside. Stick some Pooh First Birthday stickers on and a Pooh postage stamp or photo stamp of your little “one”. Pooh loves to play games and so do one year-olds. These are some of Pooh’s favorite Winnie the Pooh games. This game is Pooh’s favorite because he invented it. Before the first birthday party make some colorful soft sticks out of sheets of foam. Just lay flat and cover one side in glue and roll up. Secure in place with a rubber band or string while they dry. Give every child several sticks and a colorful container to drop them into like plastic bowls or sand pails. Toddlers love to put things into things and dump them out so they will have their own game going before long. Blow Pooh bubbles and watch the littles ones try to grab them. They will laugh and laugh trying to catch them. You can even use the Pooh Gazillion Bubble Machine for even bigger bubbles. For even more “one”derful first birthday games check out our general First Birthday game section. Help the tots play Pooh pull-string piñata. They will be amazed when the treats fall out. Use a stuffed Pooh bear to play “gone, gone,… peek-a-pooh”. Hide Pooh behind your back and ask, “Where is Pooh bear?” And then say, “Gone, gone…”. Pull him out and hold him up and say, “Peek-a-Pooh!” You may think this is a boring game but the little “ones” will have a ball.